On the event of the 2017 Holiday Party, Safdie Architects announced three promotions. For the occasion, senior leadership presented the recognition of Seunghyun Kim, Tunch Gungor and Jeff Huggins. "Seunghyun joined the office five years ago. From day one, Seunghyun has shown an unparalleled level of dedication to his work that has never wavered. No matter what the task, he brings the same high level of enthusiasm and drive. It is clear that Seunghyun cares tremendously about the work and about doing it to the best of his ability which for him means better than the day before. In addition to his work on over 14 competitions and 10 built and in-progress projects, Seunghyun has become known in the office as an expert in a diversity of spaces. He has achieved this while also seeking out new methods to accomplish tasks more efficiently, pushing our firm capabilities further ahead. Most recently, in addition to his responsibilities as project architect for the Surbana Jurong campus, Seunghyun drafted a proposal to bolster the office's approach to design technology to take on a more integrated approach and has since been given the role of director of the department. For these reasons, and many more, it is my great pleasure to announce that Seunghyun Kim is being promoted to associate this year." "Over 16 years, Tunch Gungor has played a central role on projects both big and small. As an associate, Tunch oversaw the design and construction of the Marina Bay Sands retail mall. He worked with the design team, consultants, owner and authorities to develop a 'typology model for retail' that we continue to evolve on many projects around the world. Following MBS, I had the pleasure of working together with Tunch to develop schemes for two competition entries in Kazakhstan, the Central Bank and the Kazakhstan World Expo. Currently, he oversees the design and development of the Raffles City Chongqing retail sector, working closely with the international consultants and client team. 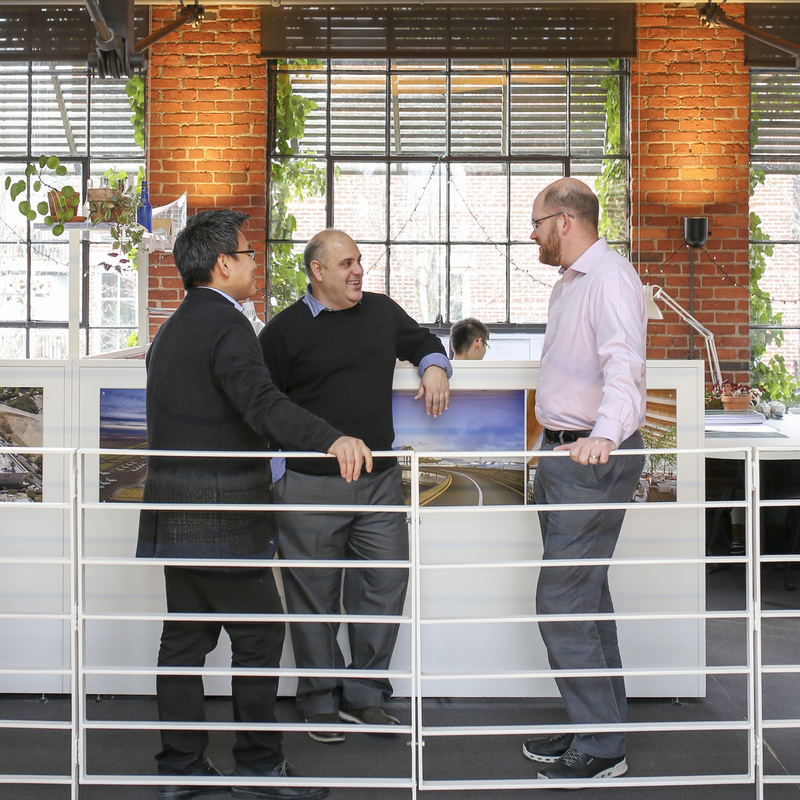 This year, Tunch has taken responsibility to oversee and build the Interiors department at Safdie Architects. Tunch is a natural tinkerer, always looking to advance a design element or a particular architectural detail. He is also a gifted teacher and mentor to the staff, and a cornerstone of our culture. We are very pleased to promote Tunch to the position of associate principal." "Jeff Huggins joined the office at a highly transformative moment, in 2006 as we won the Marina Bay Sands. He trained on hotel design with Carrie Yoon, who recognized his potential early on. Jeff relocated with his family to Singapore in 2008 and spent three years as resident architect for the MBS hotel towers, testing his office training through the opportunity to be on site. This proved to be a transformative experience for Jeff. When returning to Boston in 2011, Jeff applied his newfound skills and has risen to become a firm leader. “Intelligent, reliable and professional” are words that describe Jeff, as he has managed work of all scales – from the Altair residential tower in Colombo, to the Eling residences and RCCQ commercial towers in Chongqing, to the new Surbana Jurong campus. Jeff keeps his projects running smoothly, while building confidence and trust with clients. More recently, Jeff has widened his impact: mentoring, lecturing, increasing awareness within the firm, and also diving into the business development side of the practice. It has been an accomplished eleven years. We’re delighted to announce Jeff’s promotion to principal." Congratulations to Seunghyun, Tunch, and Jeff, and happy holidays from the entire SA team!